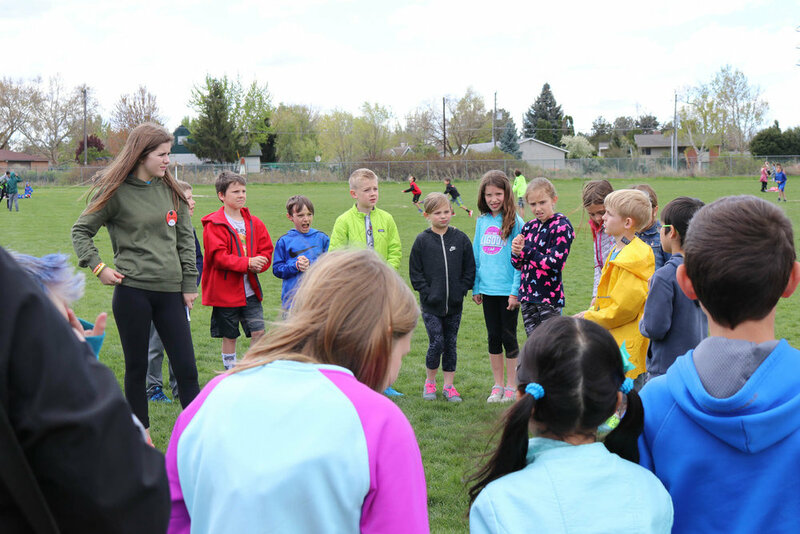 How might we encourage the lifelong benefits of play to improve the sportsmanship of 3rd graders at Riverside Elementary? 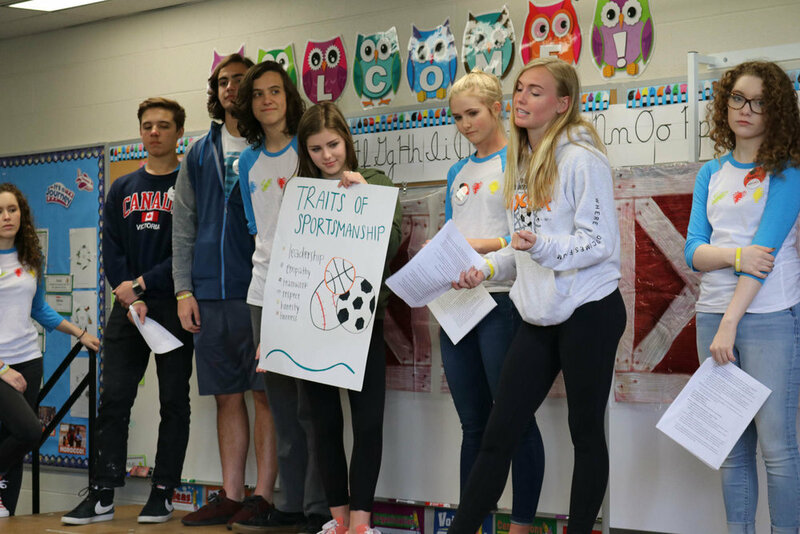 To help improve sportsmanship in youth, the team created a "field day" of sorts- a day of outdoor activities oriented around teamwork, integrity, self-esteem, and the benefits of play. 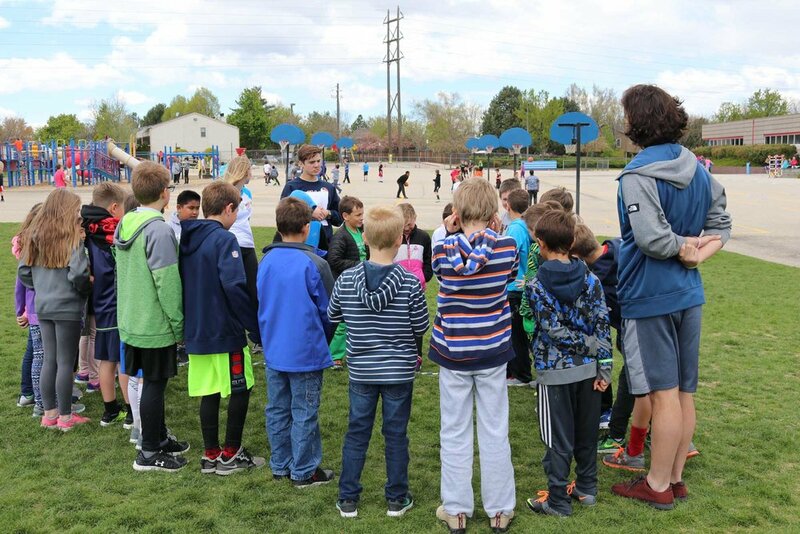 The team set up three main stations, each highlighting a different facet of sportsmanship, where kids learned to play games like "honor ball" (a game where the kids had the power to decide when they were "out") to emphasize the importance of "doing the right thing even when no one is looking." 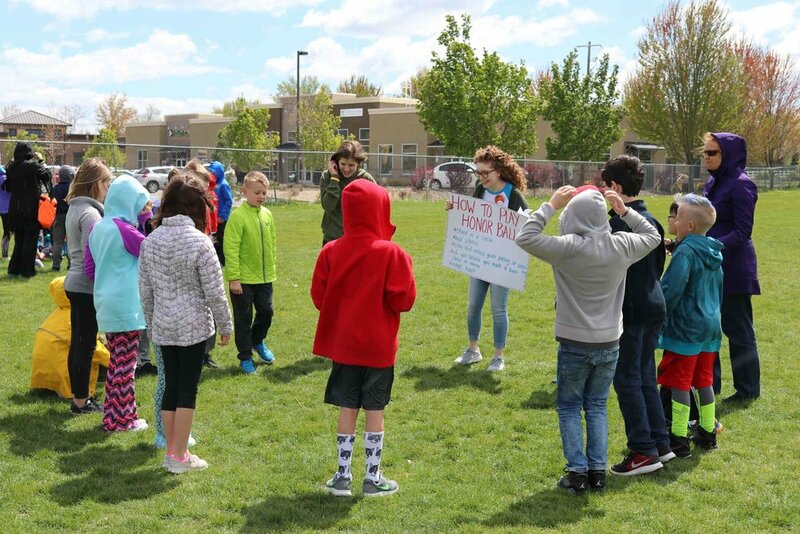 After each activity, the One Stone team guided the elementary students in reflection- how did the game made them feel, what did they learn, and how did it impacted their views on playing? Honor Ball - Participants silently played a game of catch. However, if someone felt they made a bad pass or catch, they had to stop playing the game and sit down.  Kids learned how hold themselves accountable for their actions and how their choices influenced what people thought of them. 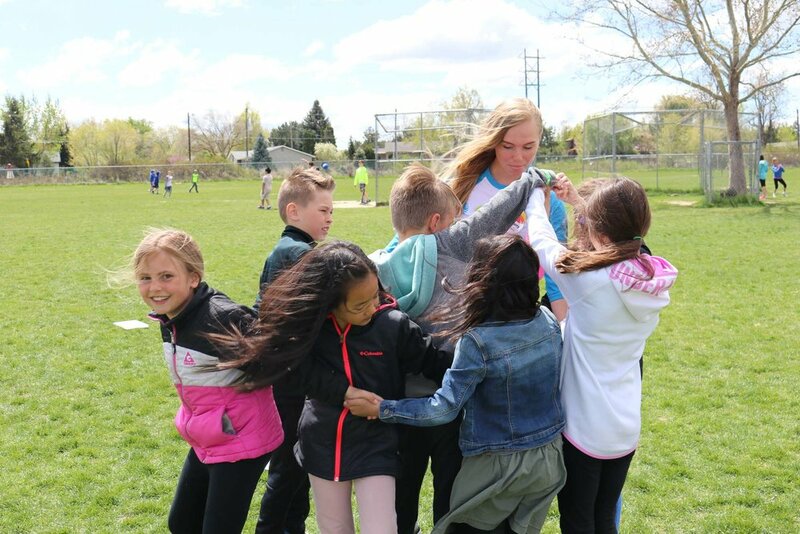 Human Knot - Kids first approached this classic game with individualistic thinking, but through trial and error, and the One Stone group leaders’ encouragement, managed to teach themselves and each other how to listen to one another and strategize in order to untangle. Tic Tac Toe Relay - Split into two teams, kids took turns running to place beanbags on a giant tic tac toe board. 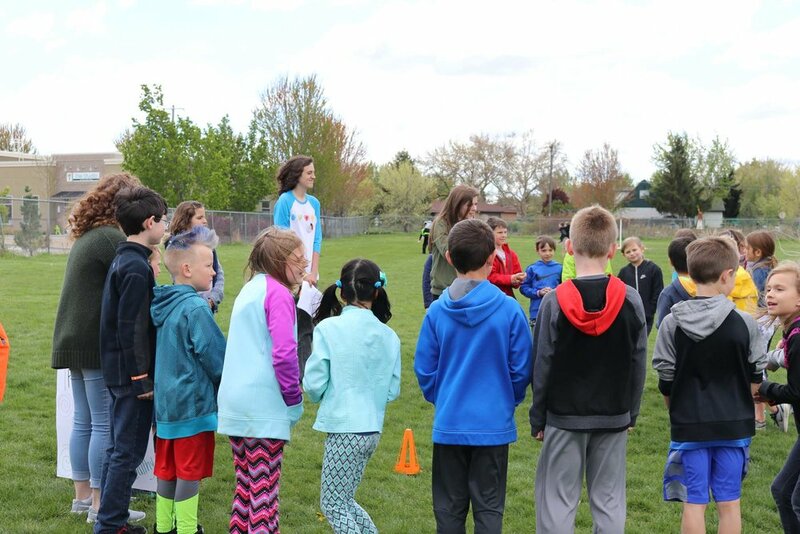 Kids learned not to take this relay game so seriously after the One Stone students kept switching around teams and team colors! By the end, each kid was enthusiastically cheering on their team, even if their friends were on a different team. Kids were amazing sports after this game, shaking the other team’s hands at the end with smiles and jokes. "Why I Play" Posters - In order to get kids thinking about the vast benefits of play - besides competition, winning, and outcomes - kids wrote down and drew pictures of what makes them want to play. The posters included pictures of bonding with friends & family, health benefits, loving the feeling of exercise, and meeting new people. 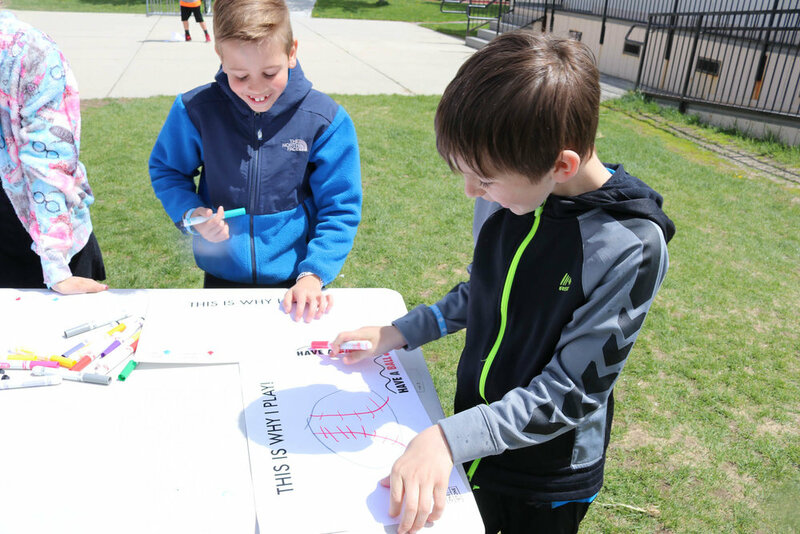 Through this activity, kids reflected on the big picture: playing is about more than just winning and losing. 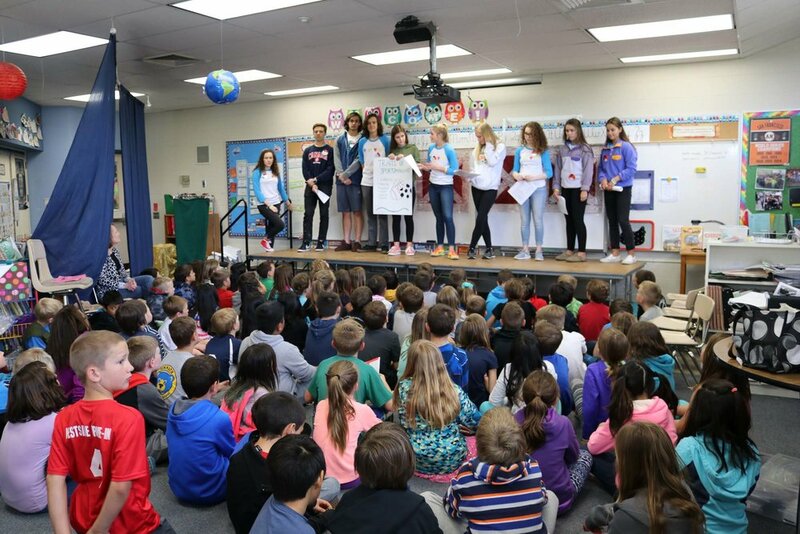 Students responded with positive reflections of how to become better sports through kindness, empathy, and teamwork. During the end of the event, students were asked how to be good sports and how their parents will help them to “Play to Play”. These answers included picking teams fairly, being kind to others, having parents’ support in whatever they do, and playing to have fun (not to win). Overall, the positive response these kids had to our games and our reflections was extremely exciting! 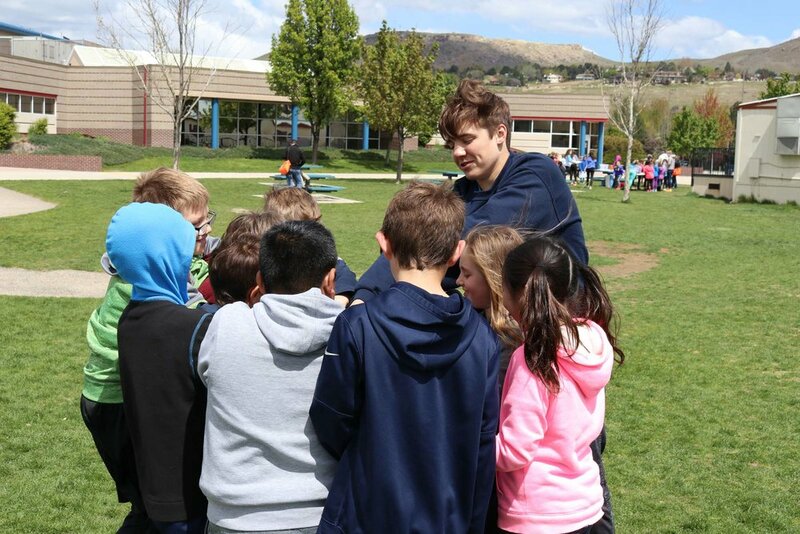 The third graders really enjoyed the games we played, especially after learning about the importance of playing for fun and not playing just to win. "I learned that it’s not about the game. It's about having fun!" "I learned to do the right thing even when nobody is watching." "Whatever team you’re on, you should always try your best." 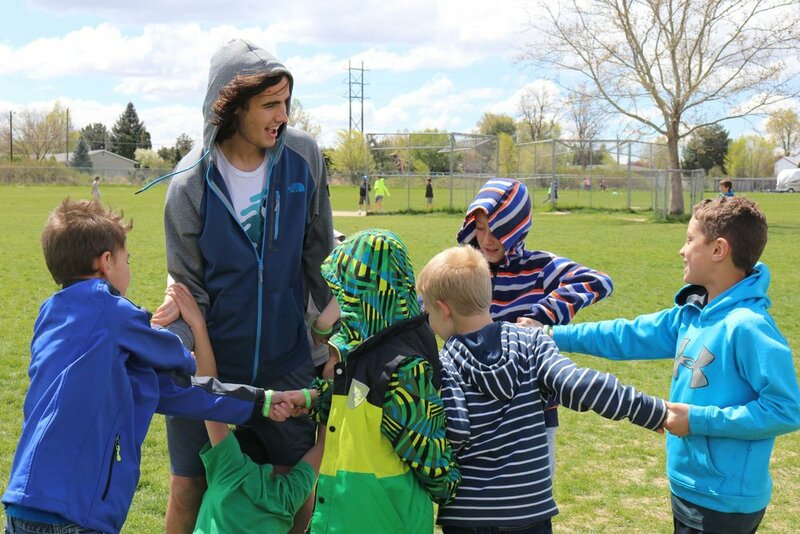 "I learned that good sportsmanship can make the world a better place." "You can be your own referee." "It’s really fun to be a good sport." "I learned that sportsmanship is a team effort. It means cheering on my team and having fun." "What is a tool that will help you have better sportsmanship?" "I am going to think before I do something." "Always build your teammates up." "Be respectful to everyone playing the game." "Shake hands with the other team." "The wristband will be a reminder when I am having trouble. " "You can use mindfulness to help you not get mad. Recognize places of stress and take a deep breath." "Be honest with yourself and be honest with others." "To focus on what really matters in life, not if we win or lose."